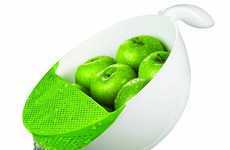 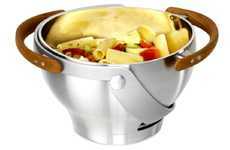 Perhaps you're preparing vegetables and you choose to rinse them in large morsels, the String Strainer can be manipulated to make larger openings to let pooling water out much more quickly. 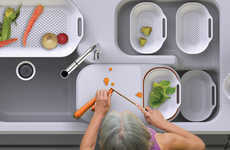 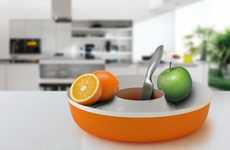 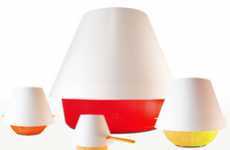 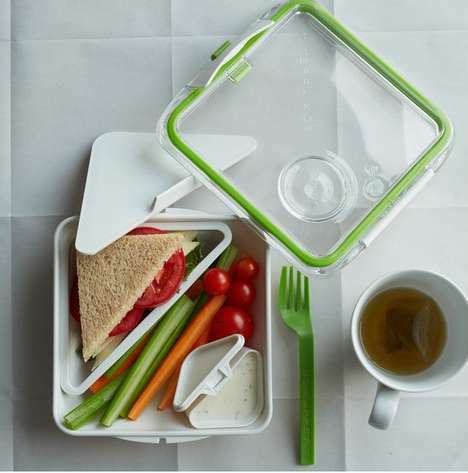 Made by oodesign of Japan, the culinary contraption is wonderfully adaptable, thanks to is manufacturing in a flexible polymer material. 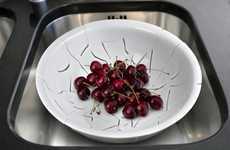 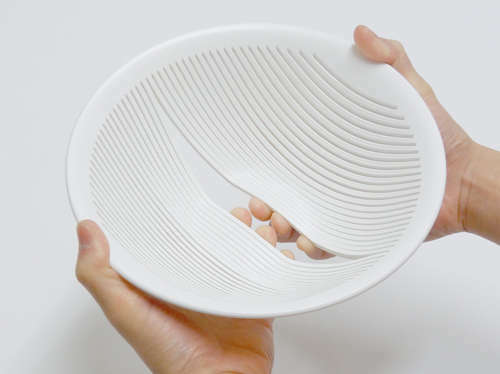 The broad white bowl has a flat base for stabilization and integrates rows and rows of fine slits that run parallel to each other around the rim. 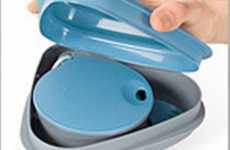 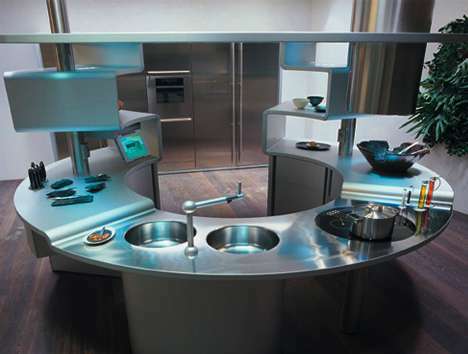 They allow small droplets of water out while effectively containing tiny items like rice, lentils and spaghetti. 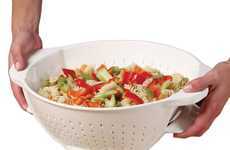 Hold the String Strainer around the bottom while you run the faucet through it; your fingers will be in the optimal position to part the pliable strips of the plastic to make greater gaps in the colander.